We are disturbed by various factors in life, we feel tired! I like to travel, I like to hide in nature, forget all the troubles, enjoy nature. 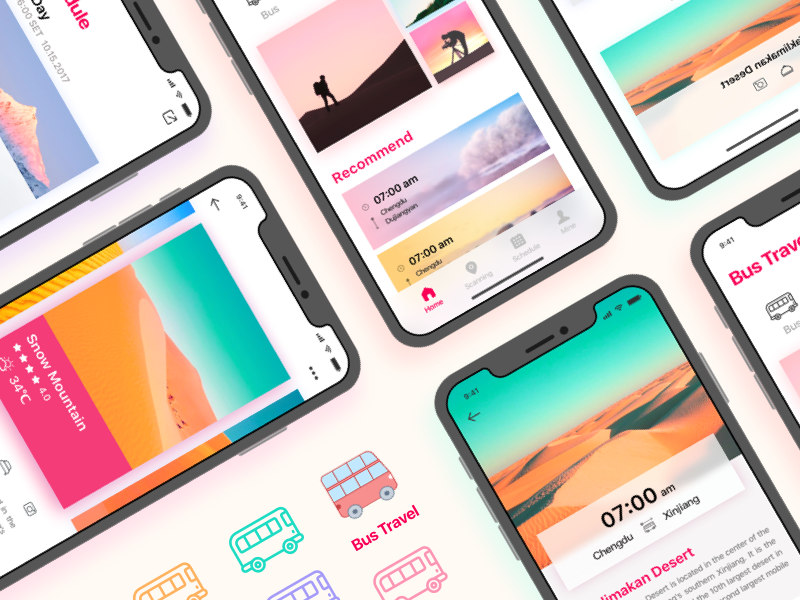 For a long time I wanted to design an APP on travel, let my dream of the world into the design. This application is based on my wife’s design of a product design, thank my wife! I use a white background, white will give you the feeling of no burden; in the plate design, I use a non-traditional layout. Beautiful scenery pictures give you the desire to travel! Compared with my previous heavy color works, I like this design! Work is not all, the family is responsible. Let travel replace your troubles! Expect your family to be happy and work well. Every day is happy! Thank you for the letter, do not get the invitation code designers please keep the enthusiasm of the design! Looking forward to invite you next time!